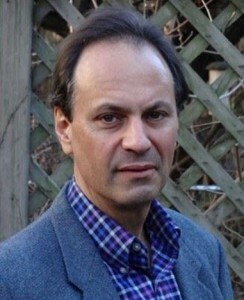 Jonathan Kalb — acclaimed author, theater critic, and Theatre for a New Audience Literary Advisor and often dramaturg — was chosen as the 2012 recipient of The George Freedley Award for his latest book Great Lengths: Seven Works of Marathon Theater (University of Michigan Press). This award is given by the Theatre Library Association to an English-language book of outstanding scholarship that explores an aspect of live theater or performance. Kalb was also awarded the prestigious George Jean Nathan Award for Dramatic Criticism – the highest award one can receive in the field of theatrical criticism – for the same work. This is the second time Kalb has received this honor (the first for his book Beckett in Performance). He is one of only three authors in this field to have won this award more than once. In his most recent work, Great Lengths, Kalb explores “marathon theater,” or extensive theater productions that run five hours in length or more. In six essays the seven pieces he focuses on are Nicholas Nickleby, the Mahabharata, Angels in America, Einstein on the Beach, Quizoola!, Speak Bitterness, and Faust I + II. Kalb earnestly delves into how these productions can physically and mentally test the artists on stage as well as audience members while keeping both sides invested in the moment. Kalb explains that “endurance theater” enables the audience to be transported to a place far from the current societal standard of media bombardment and immediate gratification. He describes these pieces as being works of “sustained meditation” that allow audiences to be drawn into the production and held captive by its story for as many hours as the curtain is up. Q: What sparked your interest in marathon theater? A: Great Lengths is something of a change-of-life book. I began it after my last gig as a regular critic came to an end. I’d been going to the theater religiously for about 20 years, seeing all sorts of work that was exhilarating and inspiring, but also, a bit too often, dreadful, and I needed to remind myself what my root connection to the art form was. I decided to look back at some of my formative experiences, a surprising number of which, I realized, were either very short Beckett plays or whole-day marathons. The Beckett plays I’d already written about in my book Beckett in Performance, so I set out to write about the marathons, all of which had taught me something unique, vital and essential about what the theater was capable of at its best. At root, I was trying to answer the question of why an intelligent and cultivated person would still go to the theater and keep faith with it when it is so often bad. The subject of spending a lot of time in the theater became my means of thinking about why one spends any time there at all. Q: What is the significance of the seven pieces of theater you chose to write about in your book? Many reviews say that you picked them for their diversity, but what do you feel is the common thread that ties them together? A: All seven productions were landmarks for me. They were, in different ways, pivotal experiences in my life, which is why they became such vivid memories. The book’s examples span 30 years and an extraordinary range of artistic attitudes and styles. I wanted to avoid redundancy and also demonstrate the astonishing variety of marathon theater, which has proliferated in recent decades. Length alone obviously proves nothing, long works are just as often bad as anything else, but the common thread in my examples is that each one truly earned its length artistically—it genuinely needed its unreasonable span of time to fulfill extraordinarily ambitious aims. Despite the diversity, there is a common alchemy that kicks in with effective marathon theater: spectators forget about the ordinary passage of time, ignore their hunger and fatigue, and give themselves over to an immersive, meditative experience they can’t have in normal-length theater. In the end, even after five, eight, or 21 hours, they feel strangely energized and revivified rather than exhausted and enervated, because they’ve experienced satisfactions that surprise them, and that they may not even have known they craved. Q: What’s the difference between writing books and writing critical reviews? A: I’ve always loved the work of journalistic criticism. It’s active and invigorating and makes me feel drawn into the rush and pulse of the living art. Reviewing on a regular basis gives you a unique and privileged overview of the theater scene. You make a few enemies, if you’re honest, but you also find yourself drawn into fascinating and important arguments and debates while they’re still fresh in the public mind. All of that understood, journalism isn’t the right forum for every discussion. Writing books has given me a way to probe certain theatrical subjects more deeply, explore complexities that would have to be simplified in a newspaper, magazine or blog, and think through larger questions of context and historical significance. Another issue is that theater is an ephemeral art. It can be recorded, but the meat of what makes it vivid, urgent and cathartic doesn’t transfer to film or videotape and disappears after the curtain call. This is one reason why good theater critics are necessary. It’s also a reason why many literary scholars still sneer at theater studies half a century after theater departments became a fixture in academia. The whole field is often treated as suspect because its subject can’t be permanently fixed like novels, films and sheet music. All the more reason for some of us to keep trying to bottle the lightning in books that argue the permanent value of the impermanent. Q: How has your work as a professor at Hunter College informed your critical writing? A: I think the main thing is that it has prevented me from ever forgetting that teaching is one of the prime functions of criticism. It’s also helped me keep my feet planted firmly on both sides of the scholarship-journalism divide. I’ve always felt compelled to participate in both conversations—the one among theater scholars and the other among practitioners and audiences—despite the many formidable pressures to sacrifice one for the other. You could say that Hunter itself was a sort of miraculous mashup of elitism and equitability. Q: Is your work as a dramaturg also a part of that double-life? A: Yes, it’s another way of bridging two worlds, in this case scholarship and theater production. Q: A broad spectrum of people will buy and read your book—theater critics, aspiring theater critics, theatergoers, non-theatergoers, scholars, etc. What do you hope each of these will take away from it? A: I hope there is something for all in my book. It contributes to a number of current scholarly debates, but it’s written to be accessible to the general reader (a once common creature whose existence has become oddly controversial nowadays due to niche-marketing and overspecialization). The thing is, what I have to say can’t be stuffed into any niche. Marathons are the slow food of theatrical art, precious antidotes to the maddening and corrosive “hurry sickness” of the media age, and anyone who has felt that ubiquitous pressure to abbreviate, compress and trivialize absolutely everything should be able to get something out of Great Lengths. Even the best theater marathons aren’t for everyone, but everyone could learn something from them about why theater endures and is still, despite everything, necessary and irreplaceable. Jonathan Kalb graduated from Wesleyan University and received his M.F.A. and D.F.A. from the Yale School of Drama. He is currently Professor of Theatre at Hunter College in New York City and Visiting Professor of Dramaturgy at Yale University. Mr. Kalb is also the editor of the Hunter Online Theater Review, an on-line forum for critical writing about the theater. Great Lengths: Seven Works of Marathon Theater is currently available for purchase at https://www.press.umich.edu/2395380/great_lengths.